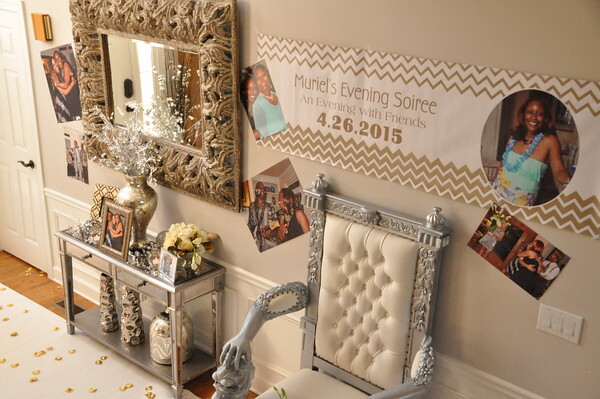 What an amazing tribute to Lena’s mom, “Muriel.” Lena invited many close friends of the family to this Surprise Soiree. The evening was filled with laughter, tears, great food, music, dancing, games, speeches, and more laughter! What a Night to Remember! This classy celebration was held at a private home in Suwanee, Georgia. 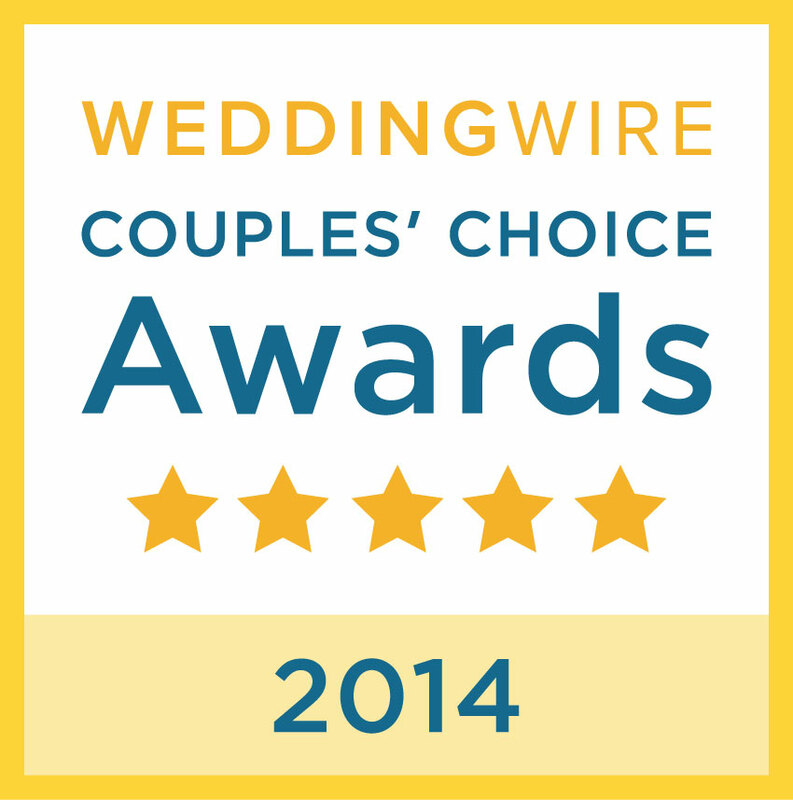 We designed elegant floral arrangements of calla lilies, hydrangeas, and roses. Bookcases, the mantle, stair bannister, and entry table decor had touches of gold and silver with gorgeous lit votives, and hydrangeas, & calla lily ensembles. 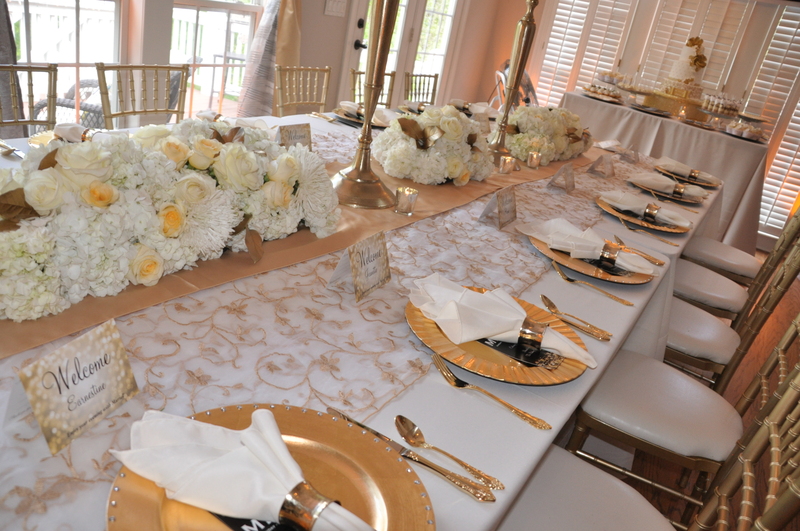 Of course, the Estate Guest table stood out beautifully with a flower bed down the center of table with a gold table runner, gold candelabras, and matching floral designs. Sophisticated Soiree Indeed! 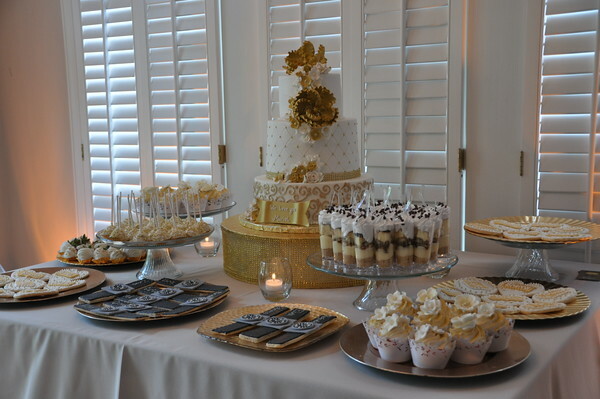 The delicious appetizers and sit down delectable dinner was catered by Lu Lu West of Lu’s Events and Weddings. Check out her amazing menu below. Design House Loves Weddings, but it’s always a special treat to design these types of events! Call us for your next party or event – 770-904-4488. Thanks to Sonji Polnet of ImagesbySojo for these great photos. Thank you Lena, Muriel and Friends!